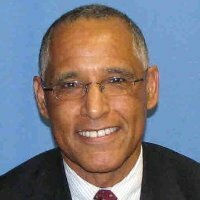 Reginald Duhe is a marketing, business development, and organizational development professional. He has over 15 years of corporate experience working in various management roles for industry-leading organizations like IBM, AT&T, and Cisco Systems. During the last 10 years, he has spent working for and consulting with educational and non-profit organizations focusing on marketing and branding strategies, increasing resource capacity, market share, and new program development. Reginald also spent three years working in the professional sports world first as the Executive Director of the San Francisco 49ers Foundation, a non-profit organization that grants funds to youth-serving organizations in the San Francisco Bay Area, and secondly as the communications/marketing consultant for the Super Bowl 50 held in San Francisco, CA. Reginald received his B.A. in Political Science from the University of California, Berkeley and an M.A. in Organizational Leadership from Gonzaga University. He teaches Nonprofit Promotion and Marketing in Non-Profit Management at the College of Professional Studies at Northeastern University.